Advertising, Gas/Oil Signs, and much more! Advertising Signs, including Gas & Oil, Soda, Automotive, Farm & Feed. Thermometers, Clocks, Coin-Operated Arcade, Figurehead and Tiki Statues, Brass Signs and Markers, Porcelain Signs, and other rare items. From just getting your collection started, to looking for that special item, view our items for sale pages. I'm sure you'll find something that you just can't live without! 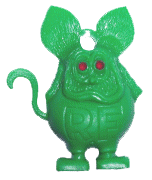 I started collecting Rat Fink gumball machine charms in the 1960s when I was 12 yrs old, spending every nickel of my allowance to acquire every color. In the mid 70s I collected Coca Cola signs, soda pop trays and toys, vintage pinup art and calendars, coin operated machines, and advertising thermometers. From there i went on to collect light up signs, store displays, clocks made by Pam Clock Co, Dualite, Neon Products and Double Bubble Clocks. I then began restoring Coca Cola machines, Pinball and Arcade Machines, Jukeboxes, Peanut Machines, Trade Stimulators and most anything coin operated. Over the years I have bought and sold many different items that have caught my eye, or what looked interesting to me or unique, including Ship Figurehead Statues and Vintage Train items. Today I buy from many different collectors, dealers, trade shows, auctions, flea markets and antique malls. If you see something interesting here at Treasureray, or want to ask more questions, please feel free to do so. I also buy, so give me a call 502-291-1699 or email me and we can talk. No "creating an account required". Pay with Paypal, or your Credit Card or Debit Card. 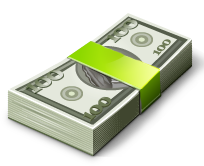 or, Send us a Money Order for your purchase! (just about anything!) and I will buy it even if it isn't Mint, Pristine or Working. CALL ME at (502) 291-1699! Porcelain signs, Vintage Signs, and Thermometers. All Advertising Clocks manufactured by Pam Clock, Swihart, Telechron, Dualite, Lackner, Advertising Products or Neon Products. 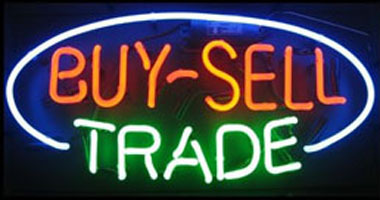 Light up signs made by Advertising Products, Inc., especially Curved Glass Bullet Signs, Animated or Motion Signs. Biolite Bubbler “bubble tube” Letter Signs. 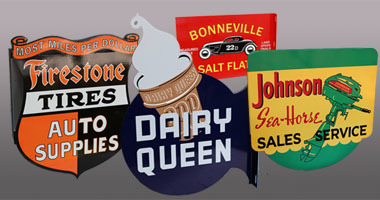 Soda Pop, Gas or Oil, Farm or Feed, and especially ANY Coca Cola Signs made by Robertson, AM Sign Co., Stout, Kay Display,Scioto or Price Bros. sign companies. 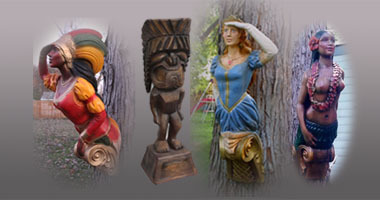 Hula Girl Lamps & Figures, Beer, Bar and Chalk Displays and Figureheads made by ALFCO or Store Display's by Old King Cole. 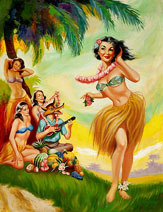 Pin Up Paintings, Bill Medcalf, Elvgren, illustrations and related items.
. Coin Operated Peanut & Gumball Machines, Trade Stimulators, Vending and 1950’s Penny Arcade Games. 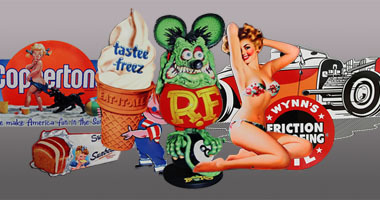 Also Toys, Including Rat Fink, battery op Toys and Robots and Monster items.